Bainbridge Island is a 35-minute ferry boat ride to Seattle, WA. Because many of our residents work in Seattle, a unique feature of our population is that nearly 1/3 of working adults commute by ferry each day. When I began working at the Bainbridge Island branch library, the potential to reach this substantial portion of our residents struck me immediately. I created Ferry Tales, a monthly book group aboard the ferry. 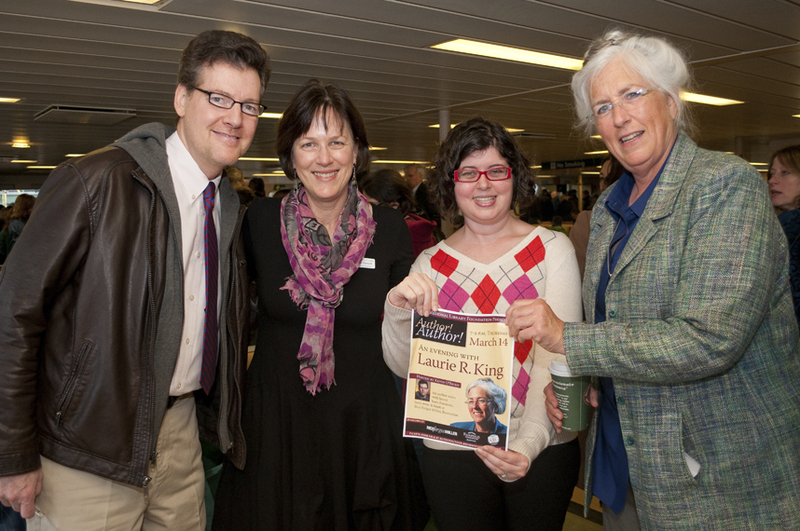 We believe it to be the first library-sponsored ferry-based book club in the nation. I began by partnering with Washington State Ferries (WSF) for permission, support, and advertising. That partnership has been incredibly positive, and has opened the door to further collaborations, such as book clubs on other ferry lines and on-board readings by local authors. I then surveyed riders on several ferries over a period of a few weeks to determine the best times and types of reading material, as well as to promote the program. The response has been fantastic! Many in the group don’t attend in-library programs regularly or at all, but love the chance to connect with literature, conversation, and community in a way that works with their schedules. Also, the program has raised awareness of the library even in those who don’t ride with us. As an example, the county paper, the Kitsap Sun, featured this program in the article “Library Takes Book Club on the Water.“ Ferry Tales was also featured in the Bainbridge Review, "It's Smooth Sailing for New Book Discussion Group." After appearing in an article on Boing Boing, Words on the Water, it was also selected as a Cool Idea of the Day by Shelf Awareness and featured on the evening news. The program has also caught the interest of many authors, who have volunteered to sail along with us and discuss their books. We were so excited to have Laurie R. King discuss The Beekeeper's Apprentice with us! It sounds like she had a pretty good time, too. Stick around and see how this program is continuing to evolve!